Businesses are losing money due to poor communications tools. 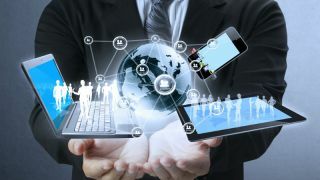 Inefficient communications and poor collaboration costs UK companies £8,000 per employee, every year, according to a new report by enterprise communications company Mitel. That means that a business with 500 employees or more could be losing more than £4 million every year. Looking into productivity within the workplace, Mitel’s new report also says that employees lose nearly a day every week due to inadequate communications capabilities. On average, a fifth of the working day is lost to emails. That costs businesses roughly £2,000 per employee, per year. The report falls in line with recent ONS figures, which claim that people usually work 43 hours a week. Two thirds of that time is spent communicating and collaborating, with just nine per cent using chat and collaboration tools that can speed up the entire process. “Email overload is certainly something our customers consistently reference as a productivity killer,” said Nick Beardsley at Olive Communications. “Too often people default to email for conversational collaboration. Simply by taking this sort of communication out of email and into a unified application it enables teams to realise the productivity benefits of real-time collaboration."